More humans, changing weather, and changing treatments/medicines have come together to create a time where viruses are more common. Doctors, childcare workers, and anyone who’s been paying attention the last few decades will tell you: it’s more common these days to see several illnesses a year, rather than one or two (especially in kids, who are just building their immune systems). It’s not just a problem for people with weakened immune systems: these viruses are spreading more than ever, and although they’re not severe, getting knocked around by cold-like disease after flu-like disease after cold-like disease-with-rash gets old. With many having mild symptoms, and with how common they are—you and your coworkers aren’t likely to stay home for them (although you should!) so expect to see a lot of mild illnesses. One that’s going around right now is fifth disease. Nicknamed for how common it is, it’s also known as one of the parvoviruses. In children, fifth disease causes flu-like symptoms accompanied by a rash that starts on the cheeks and ends going down the body. 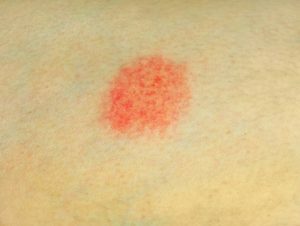 In adults, fifth disease symptoms can vary (based on whether they’ve had it before and general immune strength). With the onslaught of viruses (on top of cold and flu season) it’s more important than ever to take care of yourself and support your immune system. Rest up, drink lots of water, go easy on seasonal treats and alcohol, and consider extra immune support from colloidal silver. Colloidal silver has been used to support the immune system for centuries, and is still being researched and incorporated into modern medicines, disease prevention, skin care, and more.